That means that we're half way through the week again...already! I still can't believe how fast the time is moving. Not only are the days moving by quickly they have issued a heat weather warning everyday this week so far! This morning I've got a gorgeous glitter topper by +OPI Products to share with you. Here we go! 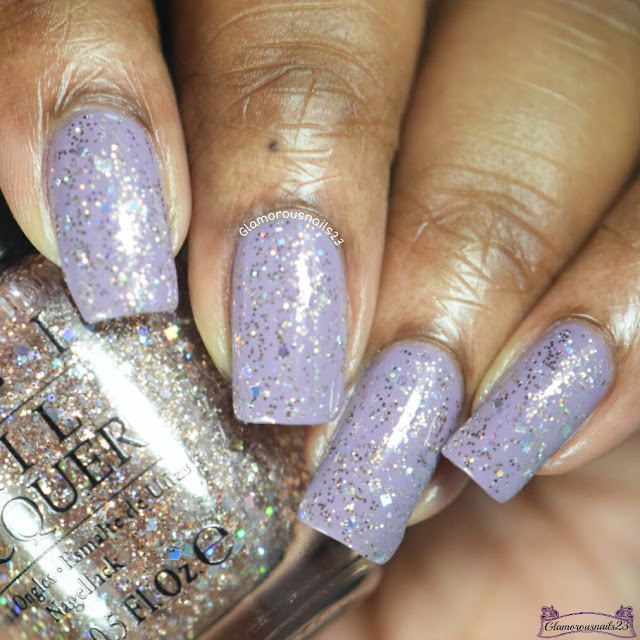 Rose Of Light is a rose glitter topper with holo squares and small rose micro circle glitters suspended in a clear base. I've had this one for about a year now and I'm only now getting around to trying it out. Rose Of Light had great glitter pay. 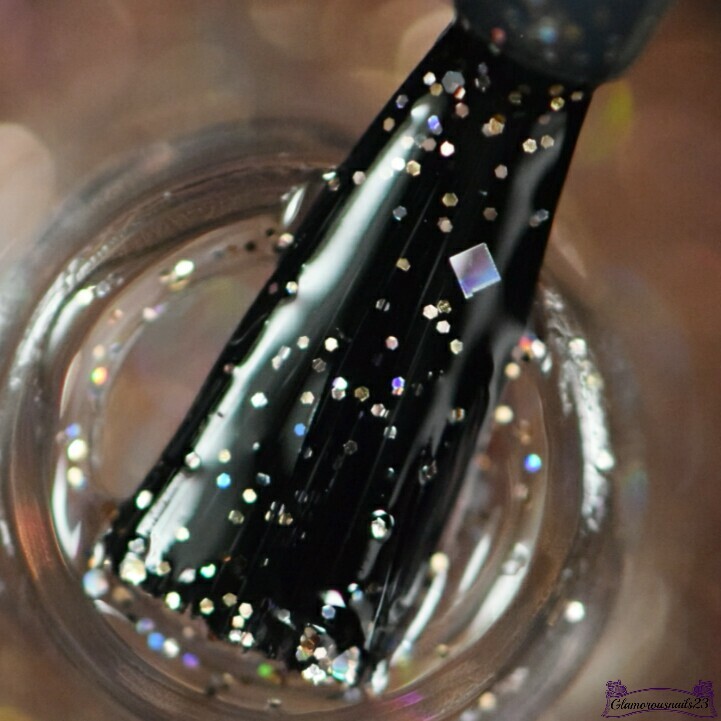 I didn't need to turn the bottle upside down before application and there was no fishing for glitter required either. 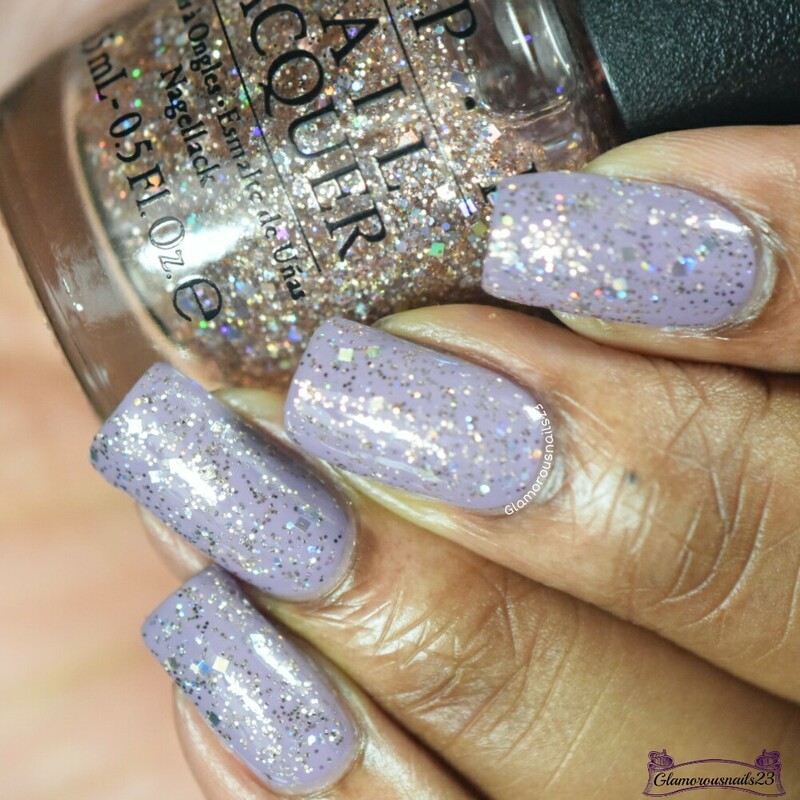 Shown is one thin coat over AEngland Guinevere. 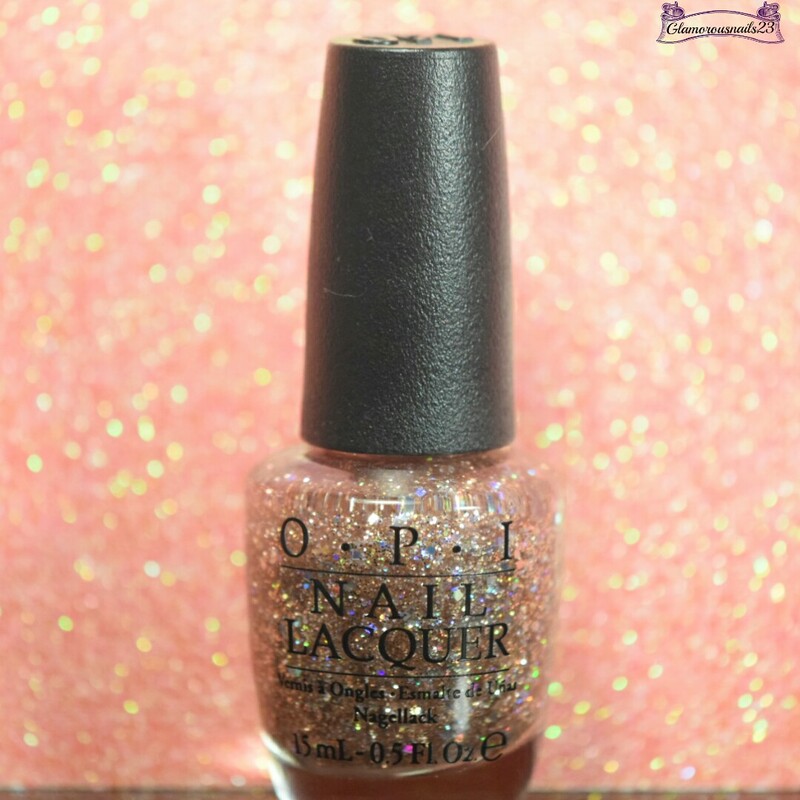 Do you own Rose Of Light? Do you like glitter toppers or do you just avoid them altogether? Thanks for stopping by! This is a beautiful topper! What collection was this from? I like this topper! 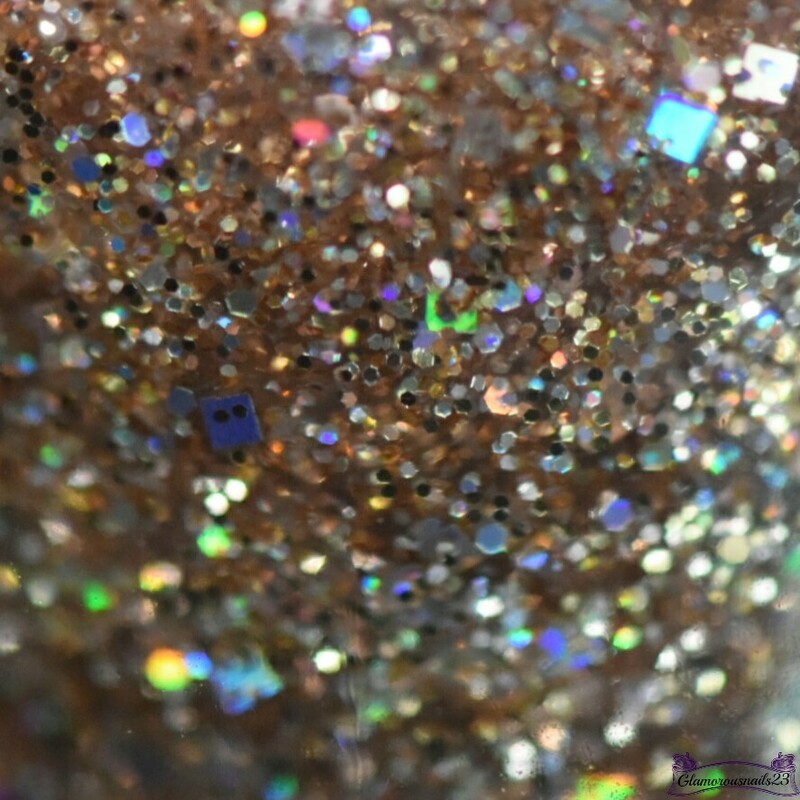 I don't avoid glitters or flakies - i really like them, it's just when i have to remove them, that i don't like so much! Thanks so much! Yeah taking them off can be a big pain. 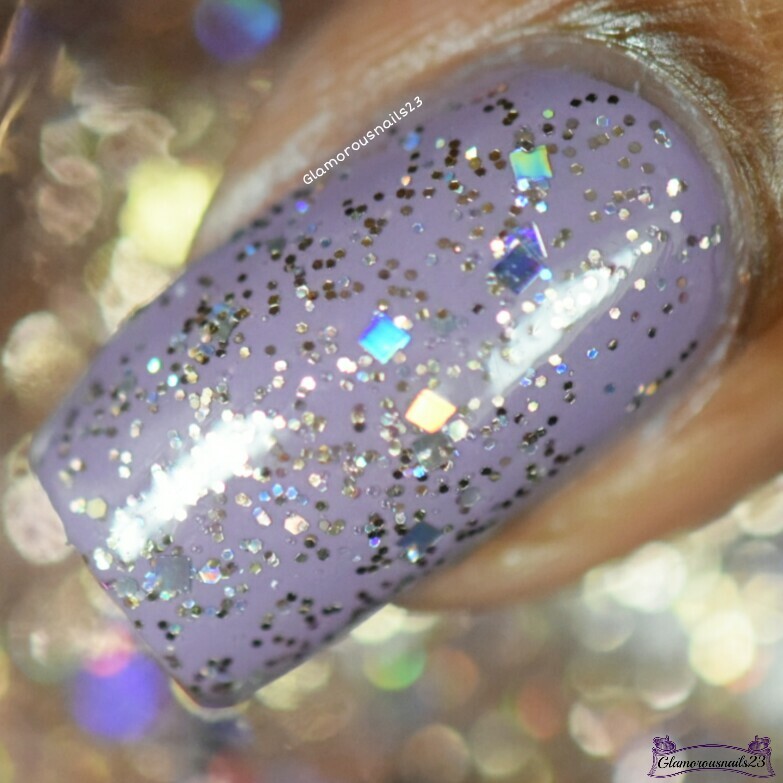 Gorgeous glitter topper. I love glitter toppers, but they've definitely diminished in popularity. I hardly see people using them anymore. Wow !!! Gorgeous topper. After reading your post for sure I will go for it. It really is pretty! I'm so glad I got it when I did. I think glitter toppers are fun way to spruce up a mani. I agree people don't use them as much anymore but I still like getting them!